CDI provides four compact and powerful permanent magnets for use with the CD52 Bandit Non-Intrusive Pig Passage Signaler. These magnets may be attached to or placed inside almost any type of pipeline pig and detected at both low and high speeds by the CD52 system. 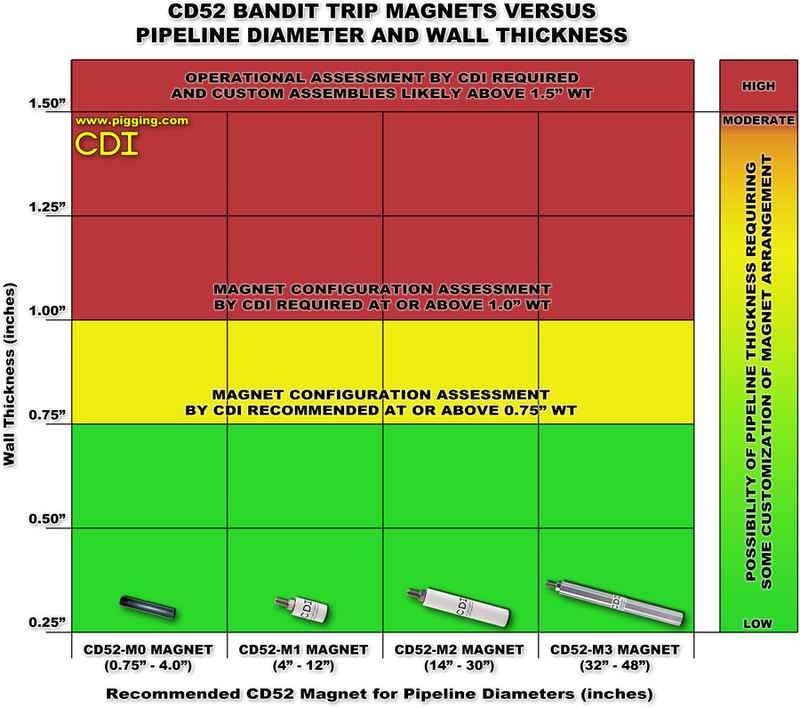 The chart below should be used to determine Detection Confidence of the CD52 Bandit with your intended Pipeline Diameter and Wall Thickness. If your pipeline is thicker than 0.75" (19mm) we recommend that you call or email CDI and allow us to assist you in determining the optimum configuration for your pipeline.